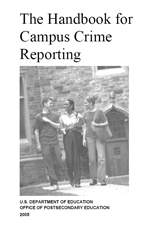 The Clery Act is a federal statute that requires all colleges and universities that participate in financial aid programs to provide an annual report of crime on its campus, including a detailed log of reported crimes. Logs dating back at least 7 years must be available to the public within two business days. Part of the mandate requires “timely reports to the campus community on crimes considered to be a threat to other students and employees,” which come in the form of mass emails to the U of I community. The U.S. Department of Education, which enforces the Clery Act, says that alerts must be made for all Clery Act crimes reported to campus authorities or city police departments that are considered a serious and continuing threat.